I've been living without a microwave for a bit over 5 years, so whenever I crave popcorn, I make it on the stove. No big deal, really. A few nights ago, I came up with a brilliant idea, if I say so myself ;) Instead of using a heavy pot with a heavy lid, I used a skillet and a splatter guard! This is perfect if you are making a small portion of popcorn. The skillet is not as heavy as a pot, and the splatter guard allows you to see what's happening inside and how many more kernels are left unpopped. Try it out!! 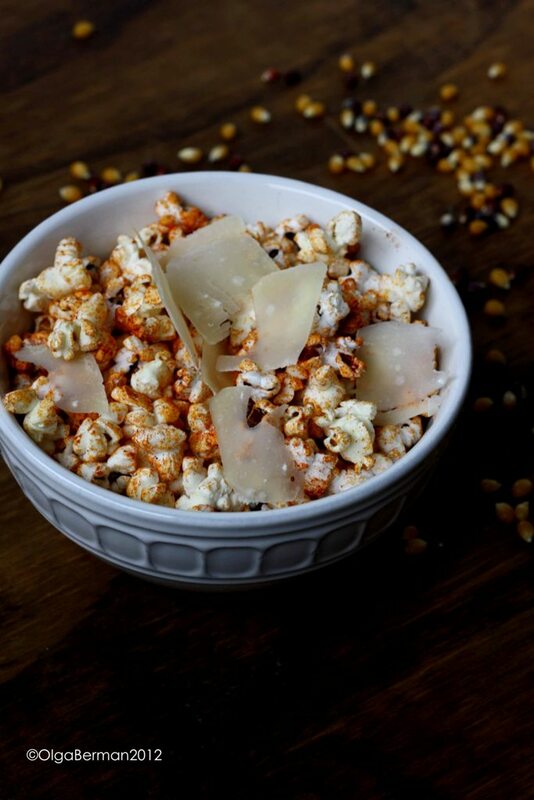 As a bonus, check out my recipe for Smoked Paprika, Black Pepper & Parmesan Popcorn!